The Elephone P9000 has a Fingerprint. Many users of the phone have already dashed the hope of ever using the wonderful feature Because they couldn't find how to configure it. We all admire and love Android phones and how easy it is to use and operate. Google has transformed and made android Operating system an unmatchable one through customization and flexibility. However, sometimes It is difficult to get a clean stock Android system in a phone though, but in some cases, features included by the producers are not as easy to set up as they should be! And this is exactly what we are facing with the fingerprint scanner on the back of the new Elephone P9000 smartphone. 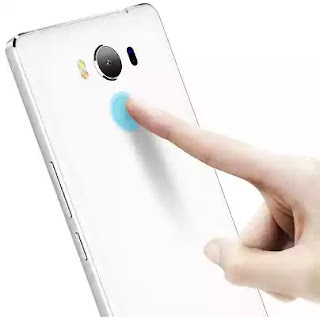 Like I said earlier, almost all popular Smartphones with Fingerprint are easy to setup even the Elephone Vowney has a very easy fingerprint setting menu, but Elephone P9000 proves too difficult. Usually what is required when configuring a fingerprint on your device is to give the phone a PIN number or password. Immediately this backup security is made available, you will notice that the fingerprint option is unlocked, but it's not so on this phone. 1. The first thing to do is to set up a password, not a PIN. The P9000’s fingerprint unlock option won’t be available if you setup a PIN. 2. Even after setting up the password, the Fingerprint won't still be available. Just go to Fingerprint unlock option under your phone's settings > security > screen lock. Then you will have to go to the fingerprint menu. 3. Enter Settings, then Finger Scanner > Fingerprint Manager > (enter password). At this point, you will see the ‘Use to unlock screen’ setting. Once you switch it On, you can now make use of the scanner to unlock your Elephone P9000. Congrats! Your stubborn Fingerprint scanner is now available and working. Are you still confused or having issues? Use the comments box for your question.